The Independence Day of the Republic of Armenia is on September 21st. We will be gathering to celebrate this Day on Saturday, September 19th. Representatives of all nationalities are welcome to attend this party. Come for Armenian barbecue (khoravats) and other refreshments, the sweet sounds of Armenian music, and to meet and mingle with our Armenian and of course non Armenian fellows who want to know more about the Republic of Armenia. MITAS dinner with MIT Armenian faculty. 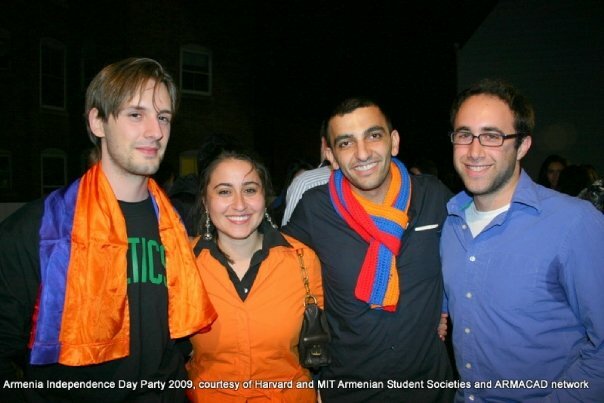 Independence day celebration of the Republic of Armenia. ARMACAD and MITAS in the news. Copyright © 2010 Tigran Sloyan. All Rights Reserved. Designed by Free CSS Templates.